Description: Create interactive and insightful infographics to better engage your readers. 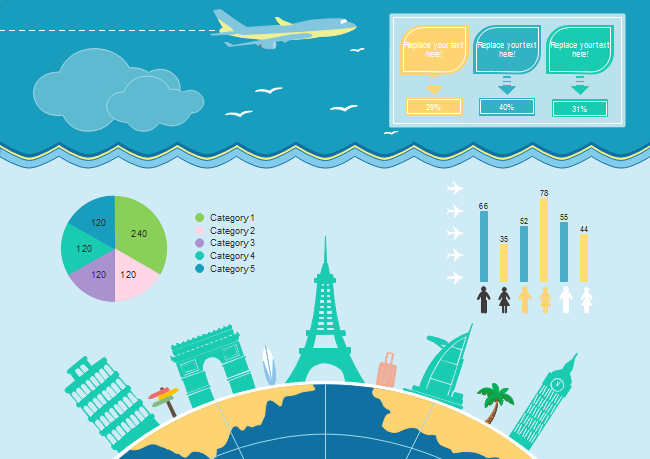 This tourism infographic template is offered for people who need to make infographics about tourism. Click the image to download the template and get more infographic elements.